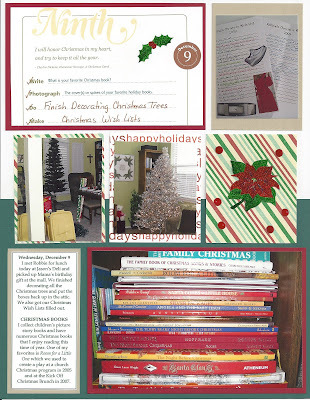 Last November, Jessica Sprague offered a free online class called Holidays in Hand. I signed up for the class thinking since it was free and I would have forever access to the materials, I didn't necessarily have to work through it in 2009. But once the class materials came out, I knew I wanted to create the page-a-day album for the month of December 2009. 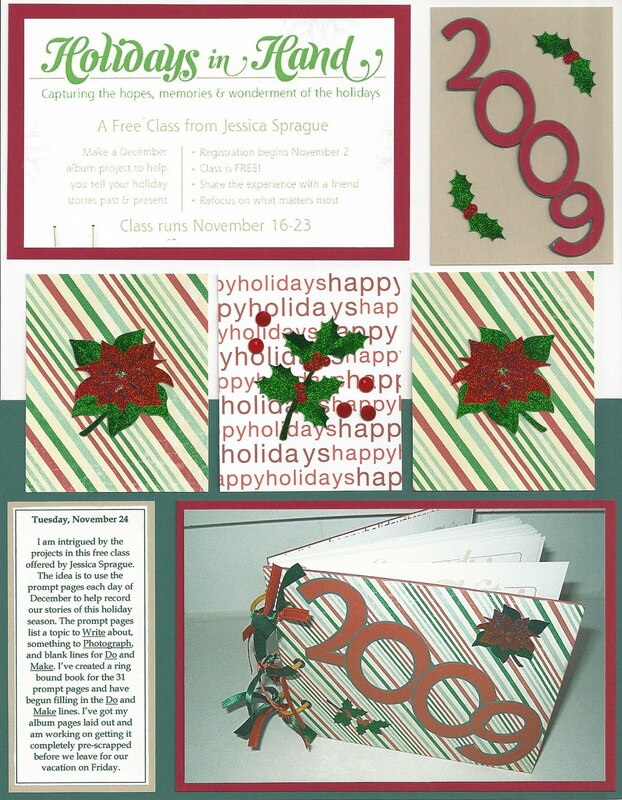 The class itself ran from November 16-23 and was designed to help us prepare for the month-long project by printing prompt cards for each day and preparing materials for our album. 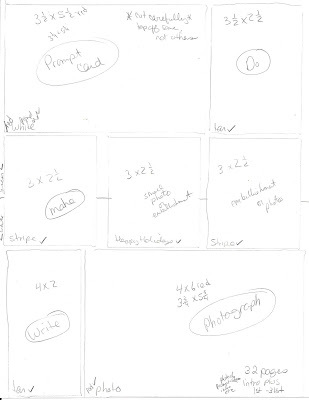 I printed the prompt cards, which were designed to "prompt" us what to write about, photograph, do and create each day. 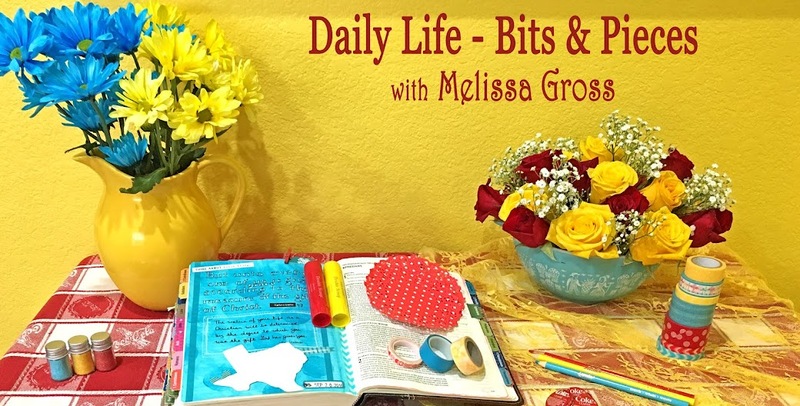 The "do" and "create" blanks were left empty and I filled them in with items to do or create for most days. I created a mini book with the prompt cards so I could keep it with me throughout the month. 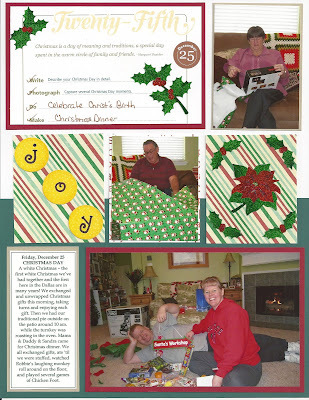 Jessica provided digital templates for the scrapbook album pages, however at that time I had not created any digital pages and decided to create my album with paper and supplies that I had on hand. I decided on an 8 1/2 x 11 page that would fit in a white 3-ring binder. 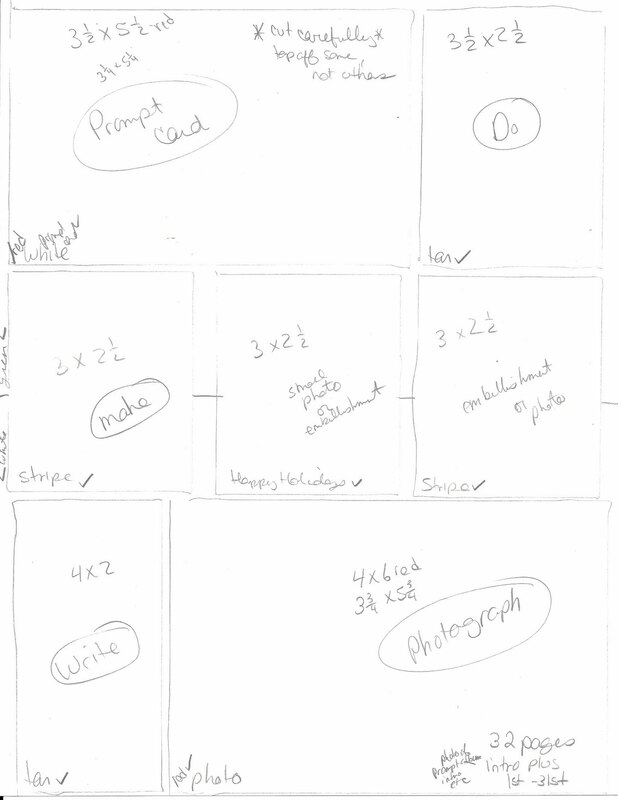 First, I created a sketch of how I would lay out the pages. 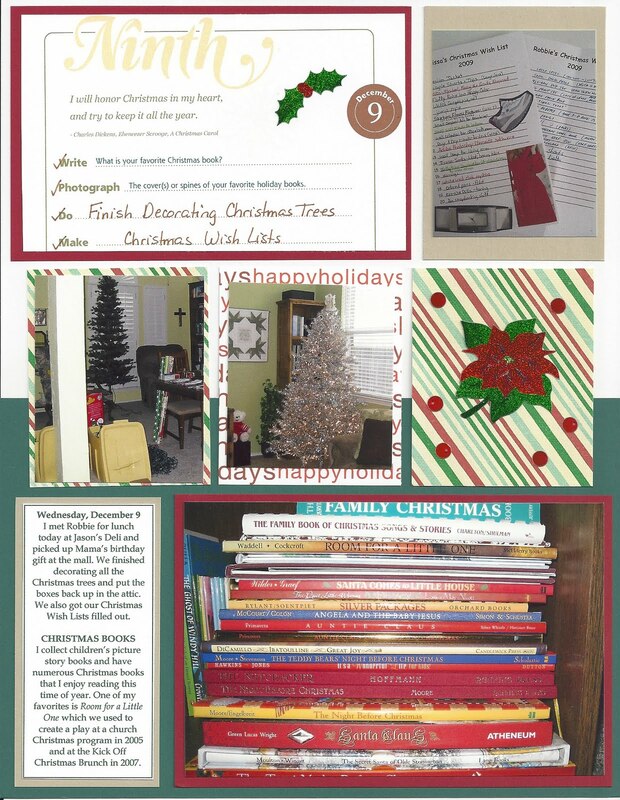 Then I actually pre-scrapped all 32 pages - one for each day of December plus a title page. 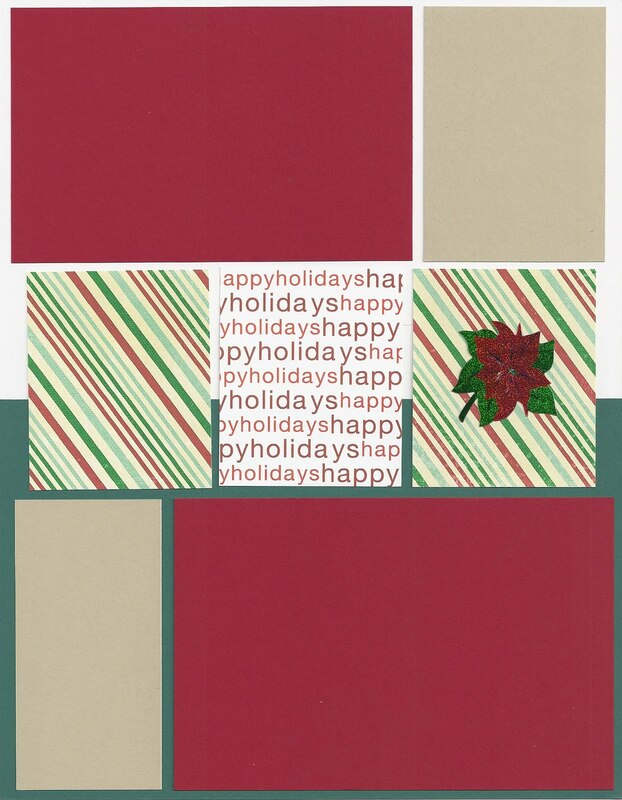 I used cardstock that I had on hand (white, red, green, tan) and patterned paper that had Happy Holidays printed on it. 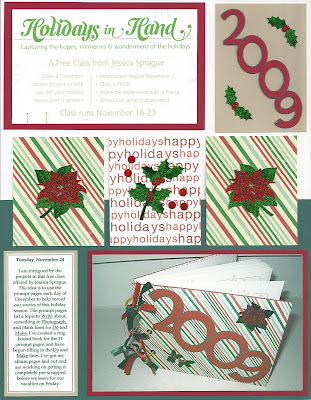 I also used the digital paper from the Holidays in Hand kit - it is the striped paper which I printed out on white cardstock. And finally, I created a page to slip into the front pocket of the 3-ring binder. And now I have another completed theme album to add to my Library of Memories. 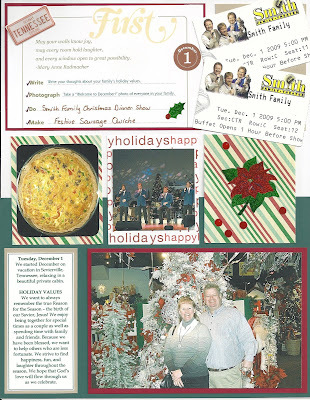 Now that this project is complete, I'm looking forward to planning for this year's holiday season. Yes, I know it's hard to think about Christmas when the temperatures are reaching 100 degrees each day (for some of us!). 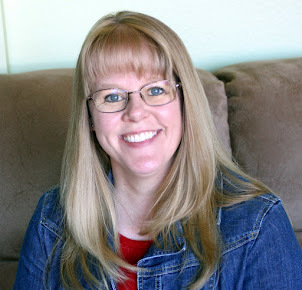 However, I'm a member of a Yahoo group (Christmas_Clutter_Countdown) that begins Christmas planning next week, focusing on decluttering and deep cleaning our homes as we prepare for a stress-free holiday season. I'm looking forward to getting started. What a great project! 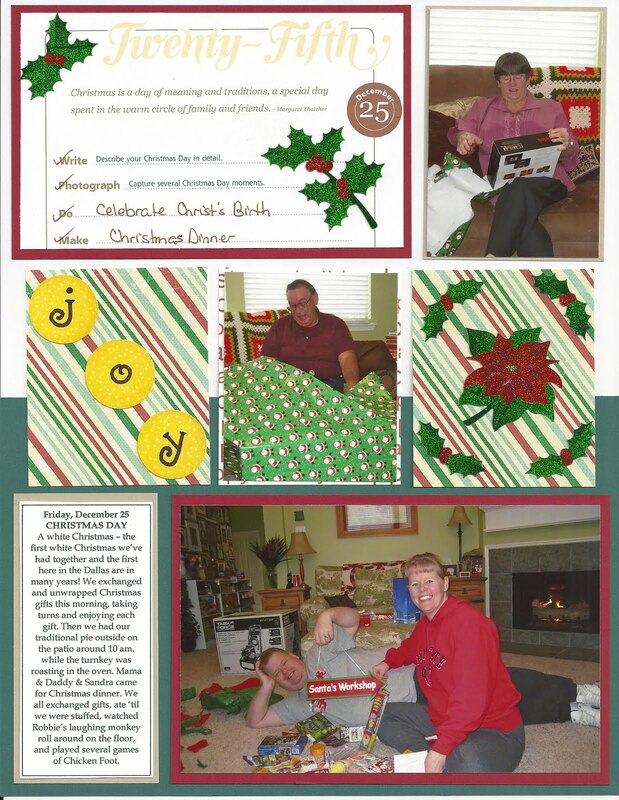 Lots of fun to look at Christmas in August!